The BMW i3 comes with large (tall) and skinny tires for improved efficiency. 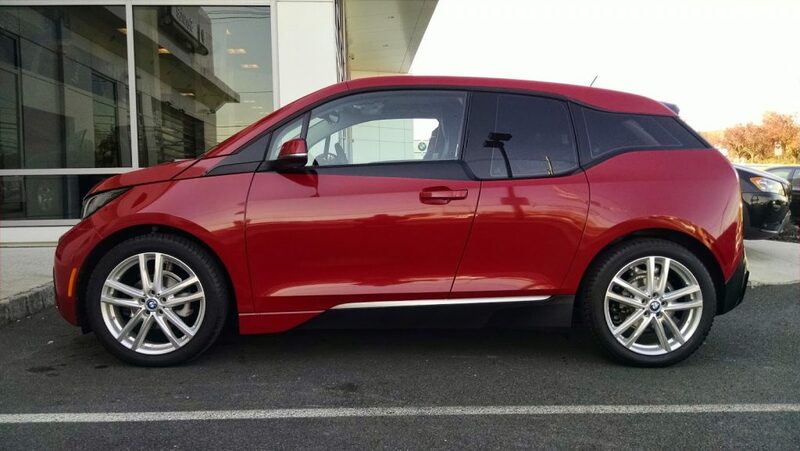 Because of this, it is often difficult to find aftermarket wheel and tire options for the i3. To add an additional difficulty, winter tires can currently only be found in a 19″ size, even though the i3 comes with 20″ wheels. Wrecking yards are charging +$250 USD for a 19″ OEM wheel, and on Ebay the wheels are going for closer to $300 USD each. TireRack has some options available, but as of November 2018, there were no results for wheels for a 2018 model year, so it was necessary to select 2017. 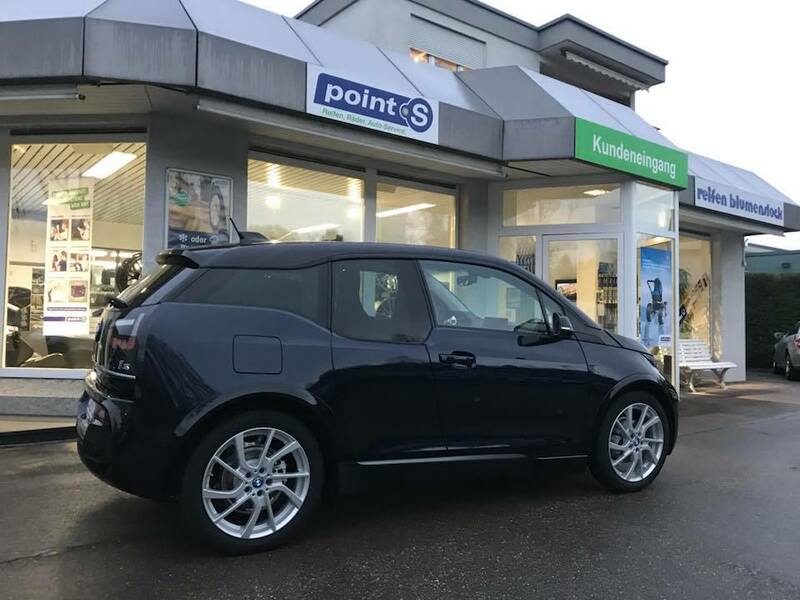 For the 2019 BMW i3s, with a wider track, 10mm wheel spacers will be necessary to get the Rial wheels to fit properly. 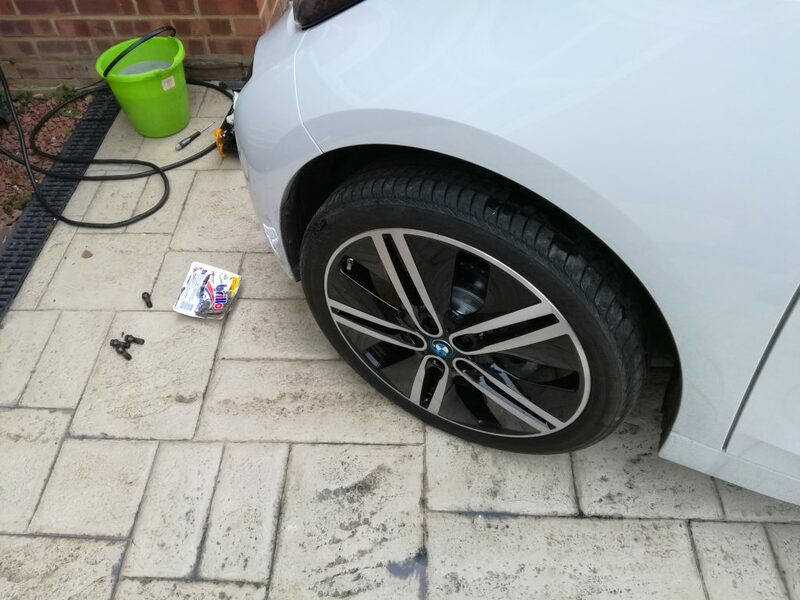 In the UK, MyTyres has the Arial wheels (pictured above), and also another make, the Brock eB1 wheel in black front polish and crystal silver painted – both are 19″ wheel options only. BMW i3 aftermarket wheels at MyTyres.co.uk This BMW i3 has 155/70R19 tires on Brock eb1 wheels with ‘painted crystal silver’ finish.